Rocco's the complete package - a goofy, beautiful, intelligent dog and an absolute sweetheart. Rocco loves his people and always wants to be near them and making them proud. Rocco's favorite game is "fetch", and while bringing the ball back is not Rocco's strong suit, he'll happily chase it nonstop. He makes up for not returning it by being adorable in the way he pounces on it before it gets away! This smart cookie would thrive in a home where he'll get a lot of exercise and mental stimulation. In fact, Rocco is so smart that we've put him in APA! 's Total Obedience Program. The Total Obedience Program (TOP) is modeled after the AKC's Canine Good Citizen (CGC) test. As a TOP dog, Rocco has a personalized training plan and works with a volunteer trainer several times a week to help him learn the skills to become the best dog he can be! Rocco is learning skills like sit and down, walking nicely on leash, sitting calmly when approached by strangers or other dogs, staying in a sit or down until told "free," and coming when called. 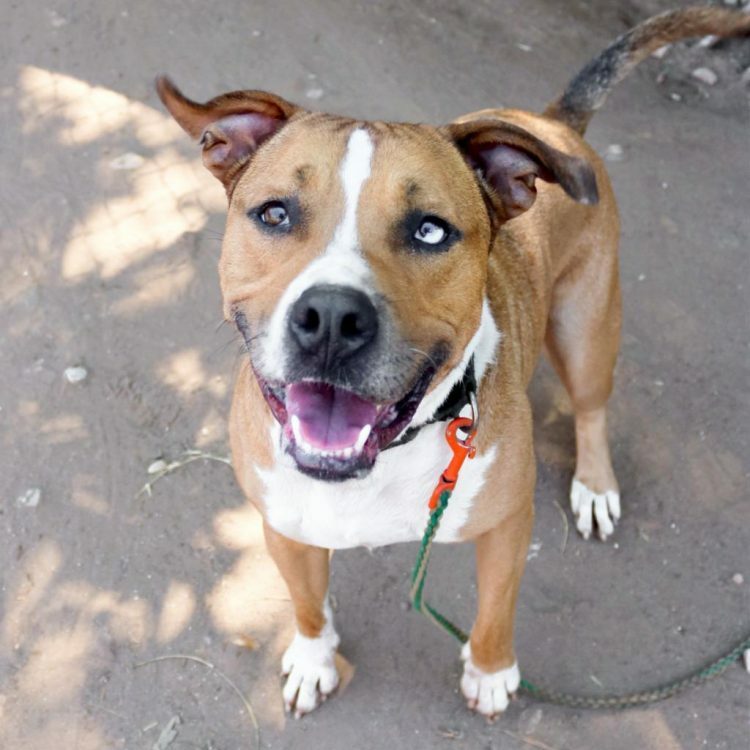 One look at Rocco's gorgeous eyes, and goofy smile, and you'll fall in love. Come meet him and see for yourself! I saw Rocco (https://www.austinpetsalive.org/adopt/dogs/apa-a-37564) on the Austin Pets Alive! website and would like to request more information.